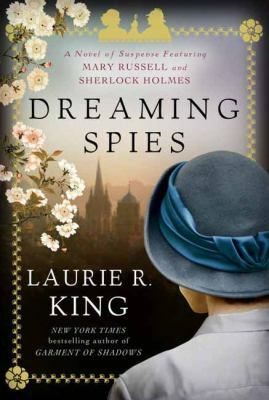 An enjoyable adventure for fans of Mary Russell and her husband, Sherlock Holmes. This book, while it’s the 13th to feature Russell and Holmes, can be enjoyed after reading the first book, The Beekeeper’s Apprentice. In 1924, they are on a cruise ship traveling from India to Japan. Holmes and Russell enjoy a leisurely cruise, despite Mary’s seasickness, and Holmes tries to determine if Lord Darley, traveling with his new wife and his grown son, is a blackmailer. Neither Russell nor Holmes has visited Japan, and they learn about Japanese customs and some of the language together after Mary befriends American educated Haruki Sato, the daughter of an acrobat. Haruki is more than she appears to be, and sets the couple a challenge once they reach Japan. Japan in the 1920s is a unique setting, which I very much enjoyed. The emperor’s son needs a large favor, which appears to be solved in dramatic fashion at a dinner party. However, a year later in Oxford, England, Haruki reappears and the adventure continues. This is one of the more enjoyable books I’ve read in a while, although the mystery is not the strongest element in the book.